Gigi Osler [B.Sc.Med./92, MD/92] was born into health care – more literally than most. When the ear, nose and throat surgeon was a small child, she lived on-site at the Winnipeg Municipal Hospital (now Riverview Health Centre). Her father and mother were immigrants who had met while working at the hospital – a physician from India and a nurse from the Philippines. “There was a beautiful stone house on the grounds, and one doctor’s family got to live there,” Osler remembers. “My parents could just walk across the grounds to go to work. Nevertheless, she persisted. 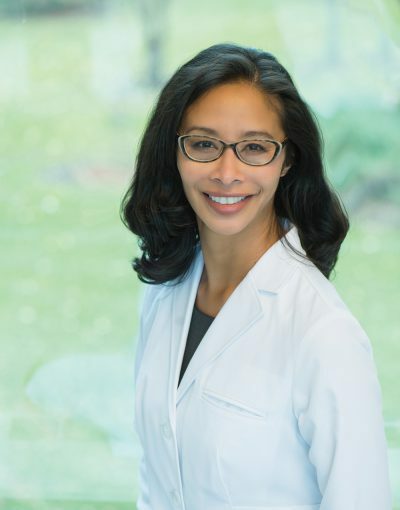 After 20 years in practice, the assistant professor of otolaryngology – head and neck surgery in the Max Rady College of Medicine, a mother of two university-aged children, steps into a new role this summer: president of the Canadian Medical Association (CMA). You come across as a very gentle person. What’s it like to become the voice of a national organization? As president, you’re the main spokesperson advocating on behalf of your profession, patients, and the health-care system. If the CMA makes a report to government on something like the opioid crisis, often it’s the president delivering the report. Coming into this role, I think you rise to the challenge. I had always thought of myself as a bit of an introvert. But as physicians, we need to advocate more loudly. You’re related by marriage to Sir William Osler, the world-renowned Canadian physician who died a century ago. What does that mean to you? Sir William was the great-great-great uncle of my husband, John, who is in business, not medicine. Some people are a little surprised when they hear “Dr. Osler” is coming and they see a brown woman, not a white man. Sir William Osler was actually president of the all-male CMA in 1884. When you put his picture and mine side by side, it reflects the demographic shift in medicine. Right now, 42 per cent of doctors in Canada are women. Over 50 per cent of medical students are women. But women are under-represented in medical leadership. So are Indigenous people, disabled people, LGBTQ people. If you don’t have a diverse group of physicians, particularly in leadership positions, you’re missing out on different perspectives on what our patients are going through. We need that representation to provide optimal care. Tell us about your mission to address physician burnout. If we’re healthy and engaged, we provide better care to our patients. We know from studies around the world that feelings of burnout are increasing among doctors. That hurts my soul and breaks my heart. The CMA is looking at the drivers of burnout. In the past, a lot of focus was on the individual: “Make sure you’re looking after yourself. Make yourself more resilient.” But what are the workplace and system responsibilities? We’re recognizing that it’s a shared responsibility. What do you say to people in health care who feel powerless to make change? The journey of 1,000 miles begins with a single step. I’m just one person. I can’t change everything, but what can I change in my workplace – my micro-environment? In my own work, I’ve come to realize how important it is to say to a patient who is about to have surgery, “We’re all here for you,” and give them confidence that they’re in good hands. That’s one little area where I can try to make the patient experience less intimidating and more comfortable.